The fact most of us receive our news via a predictive feed on a mobile app says a lot about how we experience the world around us. We explore only that which we are shown – not the unknown and we engage with that which we like or have a preference toward. 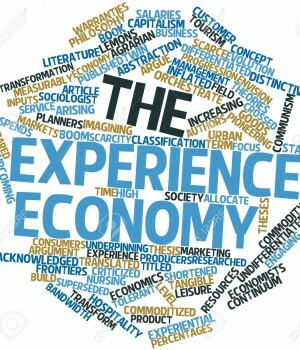 We live in the experience economy – an economy driven by experiences and sustained through digital integration and innovation in a world more connected than ever before. In fact, we live in the early years of the greatest customer revolution in history. Far bigger than the industrial revolution, the information revolution has birthed the experience economy. Customers now have more control than ever before and brands must transform or be left in the 20th century industrial era. As I lead a team of marketing and technology consultants at Blirt, I’ve come to learn it’s not about advertising, media, production, social or big ideas – it is simply about how well we can empower clients to support their customers along a wonderful customer journey. It is all about experience – customer experience. Let’s take a closer look at this tectonic shift in society and consumer behavior. There are five principles of the experience economy that you must understand if you are to lead within this new competitive environment. Customers today don’t buy like they used to. The information is in their hands and the power of that currency has shifted from the brand owner and media channel to the consumer. Customer expectations also continue to soar. Customers have the same service expectations whether they’re buying from a multi-billion dollar brand or the local shop. They don’t see the difference; small businesses, in particular, need to step up or miss out. As mass media disintegrates and omnichannel media rises, business value is no longer derived from having a big brand in the traditional sense, but rather, having a big micro brand – highly engaged, with the right audience and the ability to demonstrate repeated sales from known customers. This is good news for small to medium businesses and entrepreneurs as it creates a level playing field where disruption can happen rapidly. A recent study published in Harvard Business Review demonstrated this principle in cold hard numbers. A group of researchers tracked 6,000 mergers and acquisitions over 10 years from 2003 to 2013. Of particular interest was the value on the balance sheet being attributed to ‘brand’ and the value being attributed to ‘customer’ or repeat purchasing capability. The graph should be earth shattering to any marketer. In 10 years the value attributed to ‘brand’ went from approximately 20% of balance sheet to 10% and the inverse occurred for ‘customer’ value. Where are you spending your marketing money and is it effective in The Experience Economy? Impact and engagement is no longer derived solely from a 30 second TV spot, but rather from a series of micro branded moments appearing across the customer journey. It’s less about being instructive with advertising messages, but rather about being empowering and supportive to help the customer make a decision without telling them what to do. Compare the big on brand 30 second TV spots of the 1980’s with today’s push notifications, personalised messages, GPS / Beacon triggered updates, multi-touch environments, social chat and the list goes on. This is what we mean by omnichannel. One of our mantras at Blirt is ‘people buy things from people’. What we mean is when people make buying decisions and understand a brand, they will understand the brand through human characteristics; “I love apple”, “Telstra frustrates me”, “Kikki K inspires me”. In the experience economy, traditional style guides should be thrown out the window. Brands need to be more character based and act appropriately based on purpose, perceptions, positioning, principles and personality. If you know who you are as a brand and can transcend this across your culture, your communications will flow from the right place in the right way, whatever the situation, whatever the channel. We prefer to give brands a stylized wardrobe vs a single suit – it’s more befitting to the omnichannel landscape of the experience economy. In Australia, Services represent now 60+ per cent of the economy with manufacturing slowly trailing off. The gap is widening between things we make and things we experience. In the last 30 years our economy has transformed to a point where not much more than 30% is dedicated to the creation of goods. We spend the majority of our money on experiences – even when we are buying products. That’s why you’re seeing more service based retail stores, particularly in health, wellness and beauty growing in major shopping centers. And, that’s why start-ups like AirTasker and Uber are winning in their industries. Customer experience becomes a competitive advantage when brands treat their customers less like markets and more like communities. They foster. They grow. They embrace advocacy. I grew up in the urban development industry, specifically in developing master planned communities. Often on the outskirts of the city and away from almost anything, we knew the best marketing dollar was often in the free cup of coffee at the new local café attached to the Sales & Information Centre. Why? Because a young couple could sit and watch other young families playing in the newly created park and say to themselves, “Gee I could really live here.” Being part of a community was far more powerful than selling a 4 bedroom, 2 bathroom, 2 car garage single level home. Typically, 50% of those couples would go on to buy their second and third home in that same community over the next 10 years. Because customers are engaged, they will buy. Experience and relationship trump transaction every day. The Experience Economy isn’t something that just happened – it has been the culmination of many, many deep changes in society, culture, economics and technology. There are four key technology shifts which have had four societal outcomes that have moved us eight steps towards The Experience Economy. Step 1: Internet maturity has allowed large but geographically spread groups of people to unite. Step 2: Fragmentation of State and the unification of tribes is real and underway. This was predicted by Milton Friedman and commented on by Seth Godin. This is exampled in many countries right now in the breakdown of major political parties and the rise of the personality based leader. Step 3: Cloud platforms have grown as like-minded people have sought to connect, share and grow with one another and this, in turn, has led to global markets opening. Step 4: Big Data was birthed through cloud platforms but really this is best understood across the customer journey as micro data. There are large volumes of data sets that can be connected to individuals’ buying journeys. Small pieces of information gathered together can lead to big insights. Step 5: Mobility exploded with the maturity of the Cloud. With its low bandwidth resources, Cloud technologies have allowed mobile to boom through platforms such as iOS and Android. As mobile has boomed through the smart phone, our data habits, which are very personal, have been brought to light. The ability to engage in personal ways has transformed communications. Step 6: Mass personalisation of content and platforms has allowed social or other personalisation platforms to create highly personalised content. Users can now just ‘be personal’ and leverage these platforms for greater outcomes. Step 7: Longtail media is media sales derived from trillions of unique pieces of content shared or created by individuals across platforms. This has also allowed predictive content to blossom. Step 8: Predictive Content. Today we don’t search for personal content but now we receive it in feeds tailored to our desires. The future is in predictive, personalised and pushed data. The experience economy is an outcome of the third great revolutionary shift; from agriculture to industry to information. It will be the defining economy of the 21st century and shape post modern economies whether we like it or not. The experience economy belongs to those who can ignite inspirational branded moments at every touch point of the customer journey. 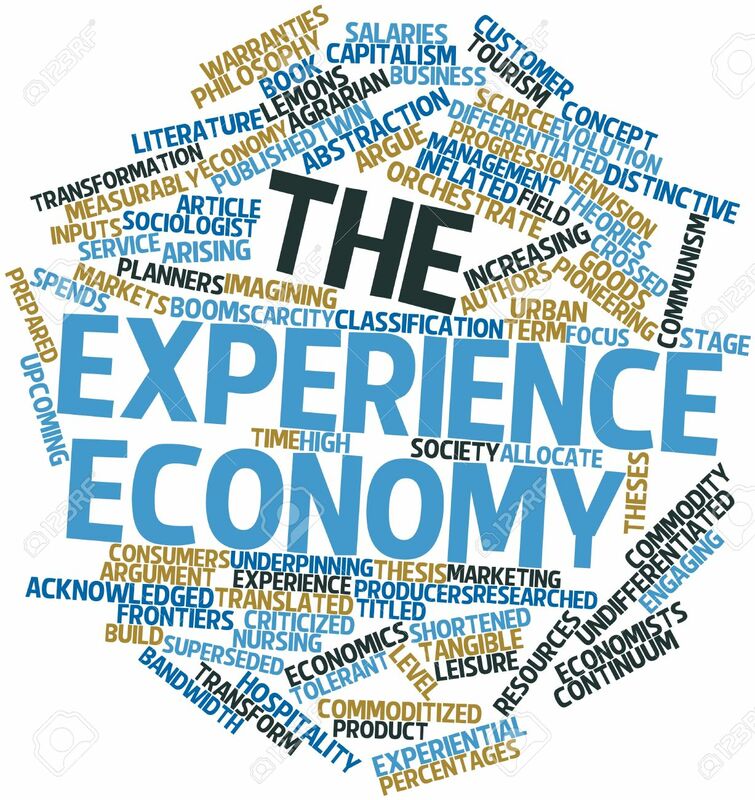 The experience economy is defined not by sovereign borders, Kings, Queens or Presidents, but by influencers, urban tribes and digital communities united around ideals and values and through social networks which can connect globally within seconds. It is perhaps the silent revolution empowering more disruption to more industries and more companies than ever before experienced in the history of humanity. The opportunities this economy brings will either be your economic savior or your economic destroyer. How will you respond? Stuart Leo, Founder and MD, Blirt.co. BLIRT.CO is a market leader in the high growth data driven marketing technology sector. As one of Australia’s leading MarTech strategy groups, Blirt specialises in customer experience, marketing automation, digital communications & full funnel customer engagement to help organisations lead in the experience economy.